Sorority Sisters out on the town via The Austin Party Shuttle visited several locations and landmarks in and around Austin. They dined at the popular Crave Restaurant on E. 2nd Street. Stopped to have their photos taken at the UT Tower and had a great time riding around town in the Austin Party Bus Shuttle. From their photo it looks to me like they were having a Great time visiting with each other out on the town. 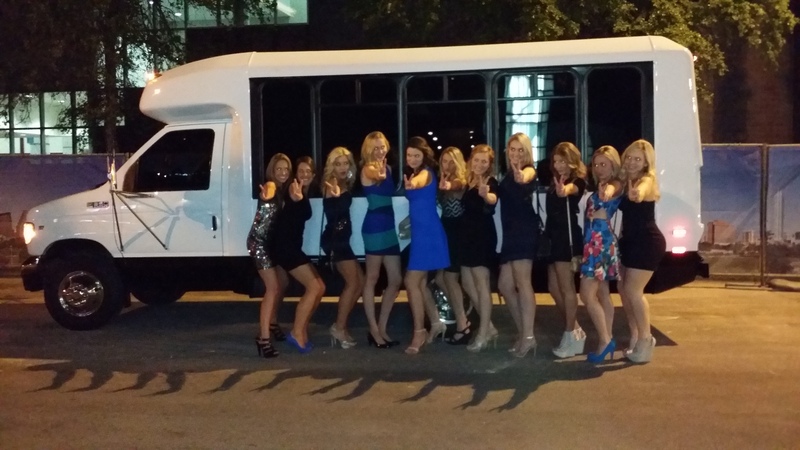 Make your next occasion special and Rent the Austin Party Shuttle. Remember We Stay Straight So You Can Get Twisted. Next: Next post: Get your trip booked.